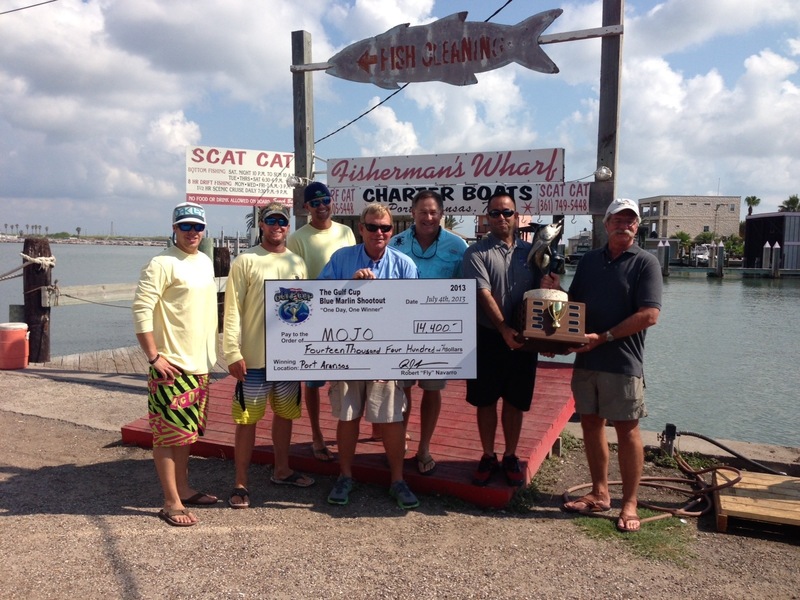 Bragging Rights, Perpetual Trophy to Remain in Texas for One Year!! 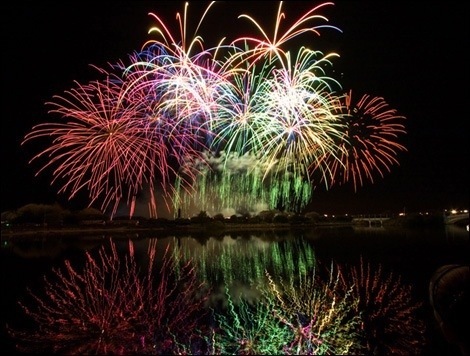 Palm Beach, FL—For most Americans, the Fourth of July holiday weekend is a summertime rite of passage: family cookouts, fireworks and good friends. 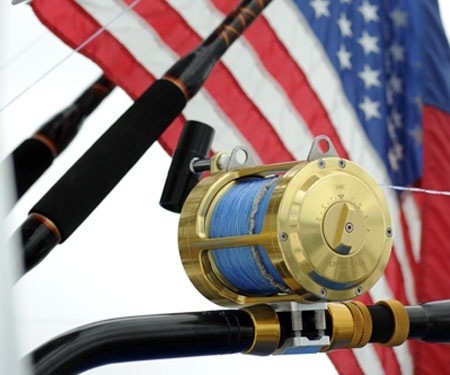 For the team fishing on the 58-foot Sculley, Mojo, it’s also one for the record books, as they were named the winners of the first annual Gulf Cup Fourth of July Blue Marlin Shootout. 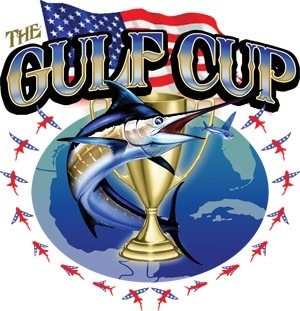 Modeled after the World Cup, teams from across the Gulf of Mexico could enter and fish for eight hours in their time zone for a shot at some big bucks (the prize money would go to the biggest qualifying blue marlin, winner take all) as well as bragging rights to see which state would stake a claim for the event’s perpetual trophy. The Mojo, owned by Will Lett and captained by Brian Phillips, hooked up late in the day in a move that was almost anticlimactic. Another boat, Jon Gonsoulin’s Done Deal, had hooked a good-sized blue marlin earlier in the day and had fought the beast through the afternoon before reporting that its’ measurement was just two inches too short (Gulf Cup rules state that the minimum short length for qualifying blue marlin is 110 inches; the Done Deal’s marlin taped out at just 108 inches from the tip of the lower jaw to the fork of the tail). That’s when Phillips on the Mojo called in a crashing strike on a trolled artificial lure in the mid-afternoon—they were hooked up! 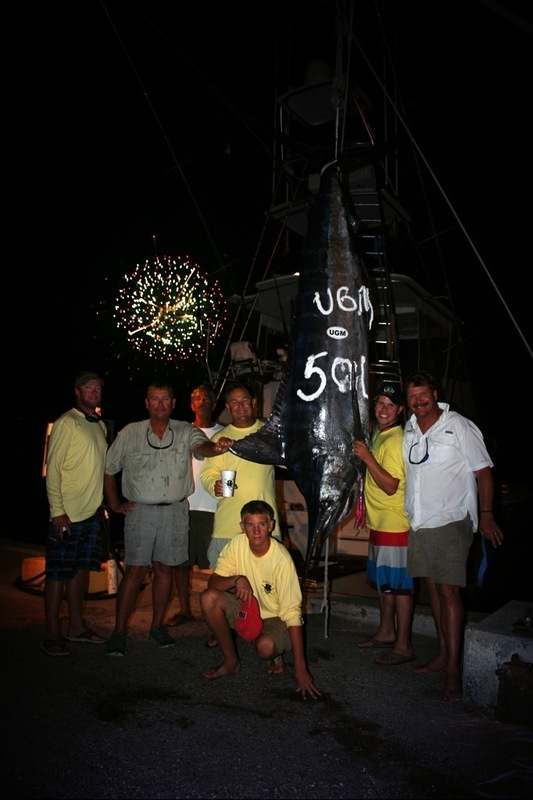 A short while later came another relay call that they had boated the marlin, which had a short length of 110.5 inches and a 60-inch girth. 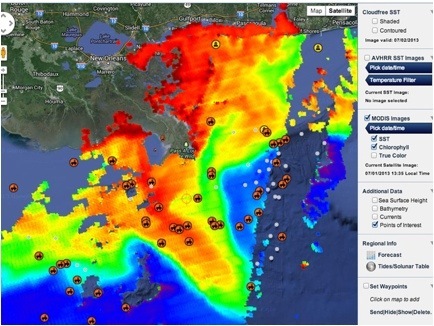 However, they had about five hours’ running time to the scales in Port Aransas, Texas. 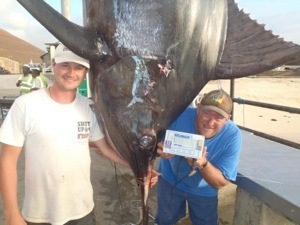 Upon arrival it was clear they had landed a very respectable blue marlin. As the weighmaster at Fisherman’s Wharf carefully raised the fish from the cockpit, the digital readout settled on 501 pounds even. As the July 4th fireworks exploded in the night sky, the team celebrated a hard-fought victory. The following day, Tournament Director Robert “Fly” Navarro arrived from the event’s temporary base in New Orleans to present Lett and the rest of the Mojo team a check for $14,400. 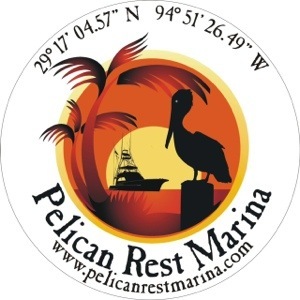 Perhaps even more important, he also presented the Fisherman’s Wharf weigh station a custom perpetual trophy from marine artist David Wirth, officially giving Port Aransas and the state of Texas bragging rights as being home to the largest blue marlin caught on the Fourth of July in the Gulf of Mexico for one year. 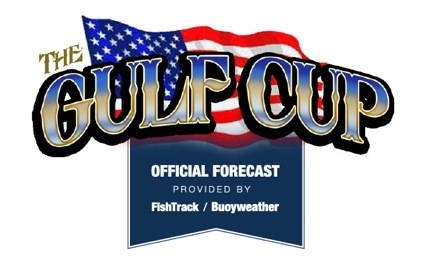 For more information on The Gulf Cup Fourth of July Blue Marlin Shootout, visit www.thegulfcup.com. Wendell Family Fireworks Show a Great way to Celebrate The Gulf Cup Win on the 4th of July!!!! Wendell Family Fireworks Show on the 4th of July!!!!! have contributed to make its success possible and its growth visible for all to enjoy. consider being a donor for our 2013 fireworks show. 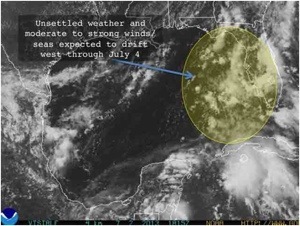 at dark, around 9:30PM, and is promised to be one of the best yet!! generation…in honor of Jerry and Jan Wendell and with gratitude for the community’s strong support. appreciated and has gone a long ways in helping fund our event. We hope that you will consider being one of our 2013 donors.